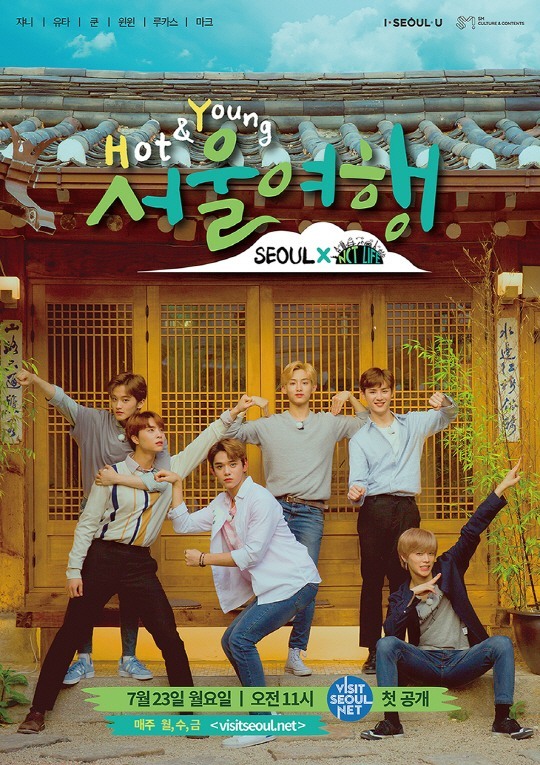 “Hot and Young in Seoul” is a travel reality show starring NCT’s Johnny, Mark, Lucas, Win Win, Kun and Yuta. Each episode features the members’ spending the night at some of Seoul’s most popular tourist spots. The six members of NCT visited Seoul’s N Seoul Tower located on Namsan in central Seoul for Tuesday’s episode. “It’s so beautiful up here,” NCT’s Hong Kongese member Lucas said, marveling at the view from the tower’s observatory. The show’s episodes can also be viewed via the Seoul Tourism Organization’s YouTube channel.